A Doctor’s referral is not needed for Physiotherapy or Chiropractic Care. Physiotherapists and Chiropractors are primary health care professionals and are able to assess, diagnose, and treat your condition. 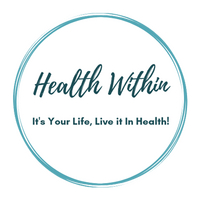 The healthcare professionals at Health Within are responsible for the care they provide to each patient. A thorough assessment is needed in order to determine your clinical diagnosis, if treatment is indicated, and the appropriate treatment plan and program for you and the condition. Each healthcare professional will do their respective assessment. When should I get an assessment? An assessment should be done as soon as the condition is painful or is limiting you in any way. This will depend on your injury, medical and physical condition, and your goals. The length of time and frequency of visits can be discussed with your health care provider. Both are trained, registered with a regulatory body and self-regulated professionals. There are many similarities between the two professions and they both treat a variety of similar conditions. Chiropractors are known for a greater focus on treating spinal conditions with spinal manipulations and Physio’s will treat spinal conditions as well as other conditions. Do I need physiotherapy, or is my physical activity or exercise enough? Physiotherapists are trained to assess and treat musculoskeletal conditions. Being physically active and exercising is an important aspect of recovery, however your physiotherapist will give you specific exercises, with the appropriate frequency and intensity for optimal recovery or management of your condition. Can I see both a chiropractic and physiotherapist for the same condition? Yes! 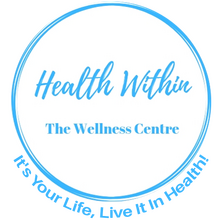 At Health Within, a multidisciplinary approach is used and encouraged as each healthcare provider uses different approaches and techniques that can work synergistically to help improve patient outcomes, whether it is to decrease pain, increase range of motion, or get back to activity.